Respawn Entertainment's first game Titanfall will be hitting store shelves for Xbox One, Xbox 360, and PC March 11th, 2014 in North America, while Europe will see a slightly later date of March 13th. There will also be a Collectors Edition available for those who are willing to drop the $250 for it. 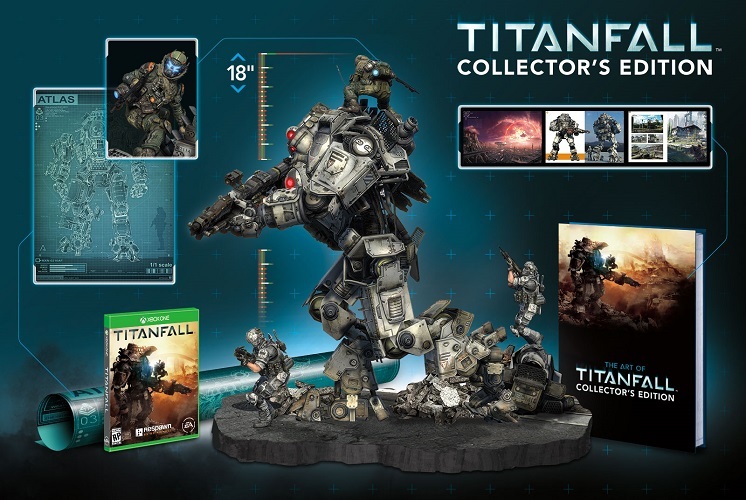 This special edition comes with an 18" hand-crafted titan statue that is equipped with battery-powered LEDs, a book with over 190 pages of concept art, and a schematic poster of the Atlas titan you can get nowhere else.